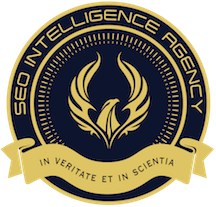 If you are not a member of the SEO Intelligence Agency we have no shame in letting you know that you need to join. Sometimes it just takes a different set of eyes to take a look at your business to give you a better take on what you could do differently. Often times businesses just need one tweak and can make huge strides. We have a system for being able to show you from A to Z what you need to do to rank better. Let us put our eyeballs on your business and you tell us where you want to be and we will lay out a plan for how you get there. Do you just want more traffic and more leads? Great- that is what we specialize in! We take on 3 people every 6 months and take their business and their life to the next level. To apply for our next session click on the following button.